In Grafton Street in Dublin, you can see the statue of Molly Mallone. The statue was dedicated by the Lord Mayor of Dublin in 1987 during the Dublin Millennium celebrations. 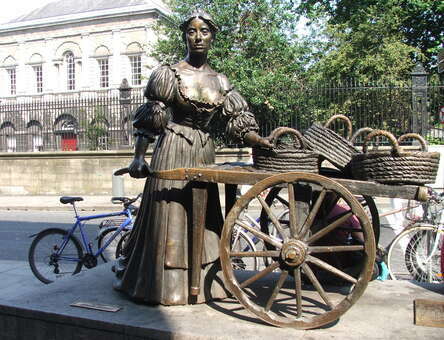 It was the 13th of June and this day became Molly Malone day. “Molly Malone” is a popular song set in Dublin, which has also become the unofficial anthem of Dublin. Bono, from the Irish group U2, sang "Molly Mallone" live in a concert in 2001. Les travaux sont dans "pupils work" les garçons. ..